AirXroad is a compact rugged enclosure equipment, ideally designed for applications in road transportation, depots, warehouses, agriculture, manufacturing floors, docks, distribution centers, shipyards and lumberyards… it can be mounted in trucks, city buses, forklifts, trailers, tractors or cranes or in any rotating machinery, for material handling, real-time information transmission, and inventory management. It fulfills the most severe requirements in terms of operating environment: from -40°C to +70°C, shock and vibration proof, protection against dust and water projections (IP66). 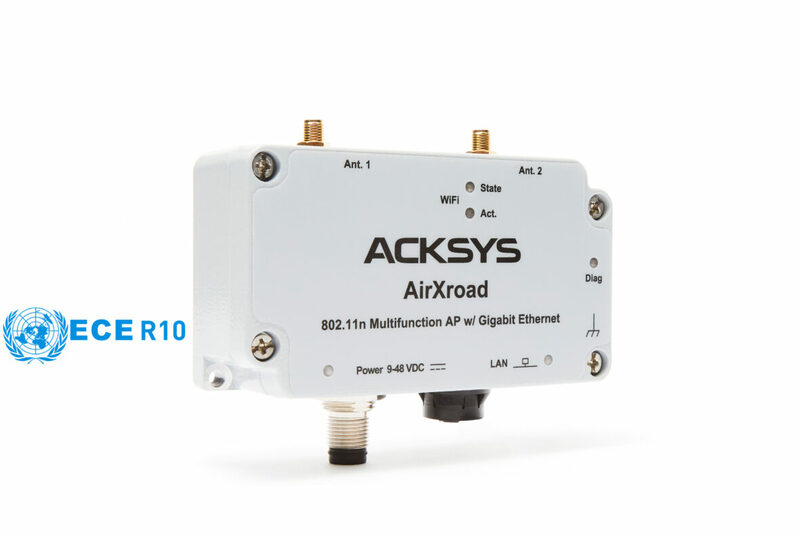 AirXroad is E-marked ECE R10 (EMC standard for electronic equipment installed aboard vehicle), and can thus be installed in full safety aboard of all on-road equipment.